James Hansen is a research scientist working in the area of agricultural systems. Since 1996, his career has focused on the management of climate risk and use of climate information for agriculture. Prior to joining the IRI in 1999, he worked at the University of Florida, where he contributed to the development of a state-wide climate applications program in Florida, and formation of the Southeast Climate Consortium. Past research contributions have included applications of agricultural systems methods to use of climate information, farm economic risk and sustainability analysis, and land use under conflicting goals; communication of probabilistic climate information; spatial scaling in agro-ecosystem modeling; stochastic weather modeling; climate-based crop forecasting; and tropical soil fertility and intercrop ecology. He holds a PhD in agricultural and biological engineering from the University of Florida, and an MS in agronomy and soil science from the University of Hawaii. The role of managing current climate risk in reducing vulnerability to progressive climate change. 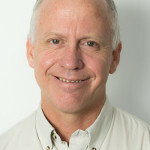 Within this role, Hansen contributed to the establishment of CCAFS, designed the Theme research agenda, and oversees a portfolio of research on management of climate-related risk for climate adaptation. CCAFS is the mechanism for funding and coordinating climate change adaptation and mitigation research-for-development across the CGIAR. Its initial focus regions are East and West Africa, and the Indo-Gangetic Plains of South Asia. The IRI was initially established as a cooperative agreement between NOAA's Climate Program Office and Columbia University. It is part of The Earth Institute, Columbia University, and is located at the Lamont Campus.